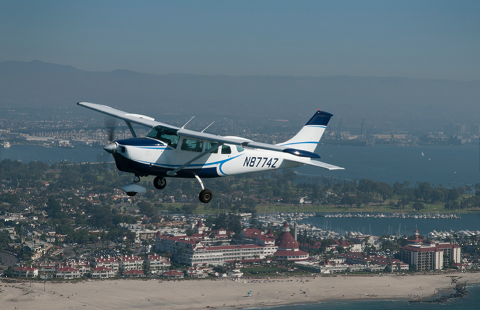 The SoCal CLASSIC Sky Tour epitomizes the 'California Dream' in just 30 minutes. 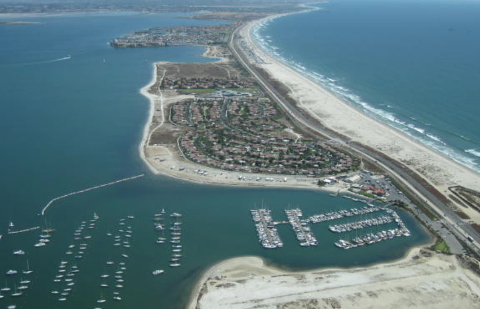 It includes over 20 of the city's most popular landmarks and tourism destinations. 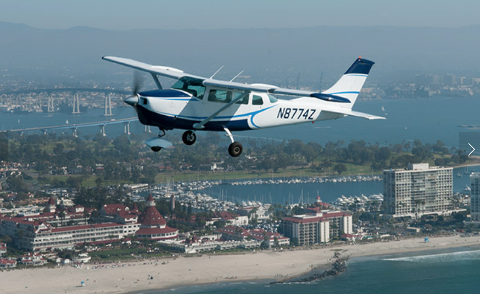 This is our most popular Sky Tour. Have you ever been disappointed with a tour? WE EXCEED your expectations. Just look at our reviews. 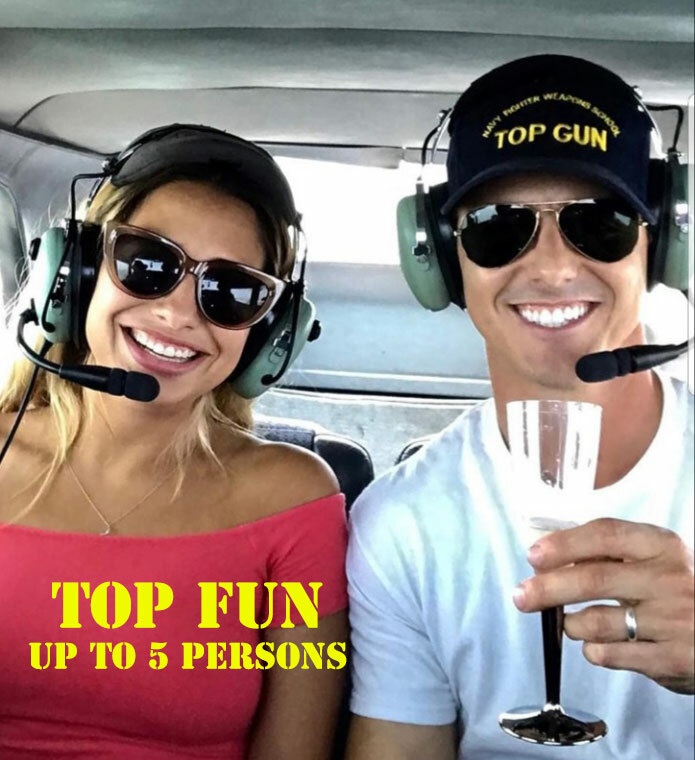 You will have an amazing memory and some new aviator friends. 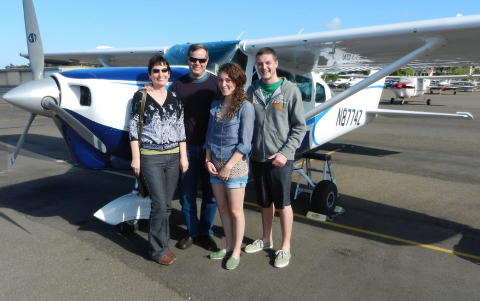 Expert Pilots: Feel comfortable with Ex-Military and Airline pilots as your tour guide. 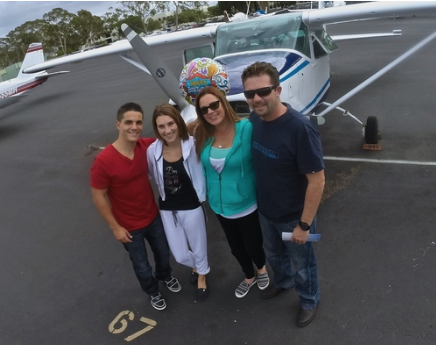 First class airport treatment, just pull up to Gibbs Flight Service and meet your pilot at the pilot lounge. 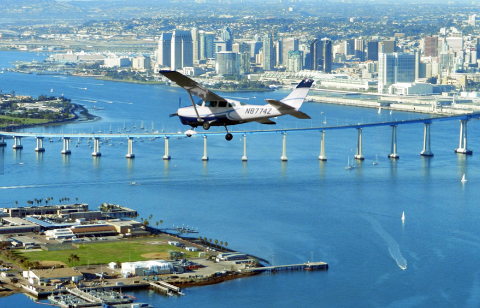 The Best Tour you will ever have of San Diego, an Aerial Tour in comfort, off the beaten tourist path, a well-kept exclusive secret! We have limited availability. Impress your friends putting this together. Easy to set up! Flexible times and easy reschedule. Move dates or cancel, just call us! Group Events: Call us! Perfect for Birthdays, Anniversary's, or other celebrations you can make a life long memory. Great vintage hangar for parties or events. 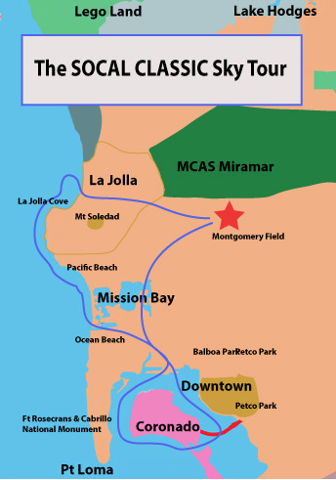 Scenic Sites include: All the San Diego tourist attractions including MCAS Miramar, Mt Soledad, La Jolla Cove, Pacific Beach and Mission Bay, Sea World, Balboa Park, Downtown and the USS MIDWAY, the Hotel Del Coronado, Petco Park, Qualcomm Stadium, historic North Island, Pt Loma, and flyover the famous Lindbergh Field. 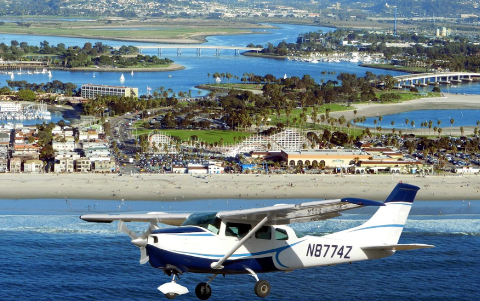 See all the San Diego Tourist spots from the air, avoid the crowds!